Higher magnification of the previous image. 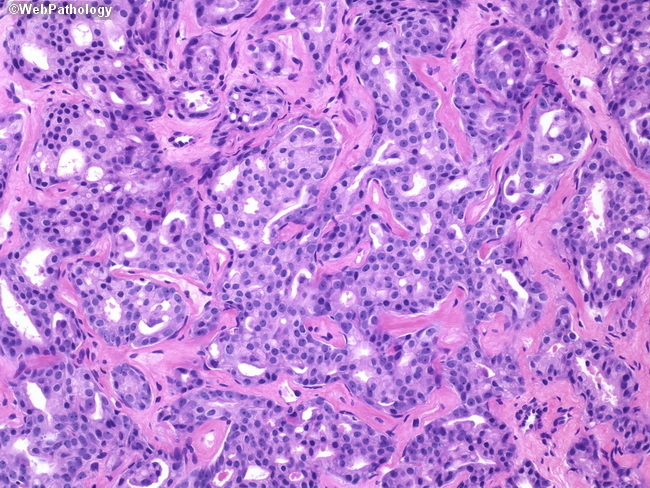 Anastomosing clusters of cribriform glands with ill-defined or punched out lumens in a prostate needle biopsy. Gleason score 4+4=8.